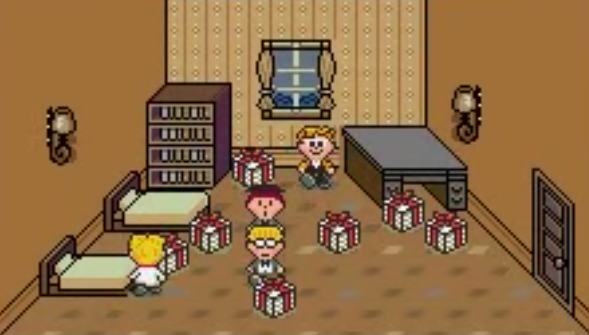 A while back, Liz Kirby e-mailed me about custom-made, EarthBound-themed wedding invitations! My fiancee and I are both diehard fans of EarthBound, so of course we had to have something EarthBound-related for our wedding! I thought I’d share with you our EarthBound wedding invitations. 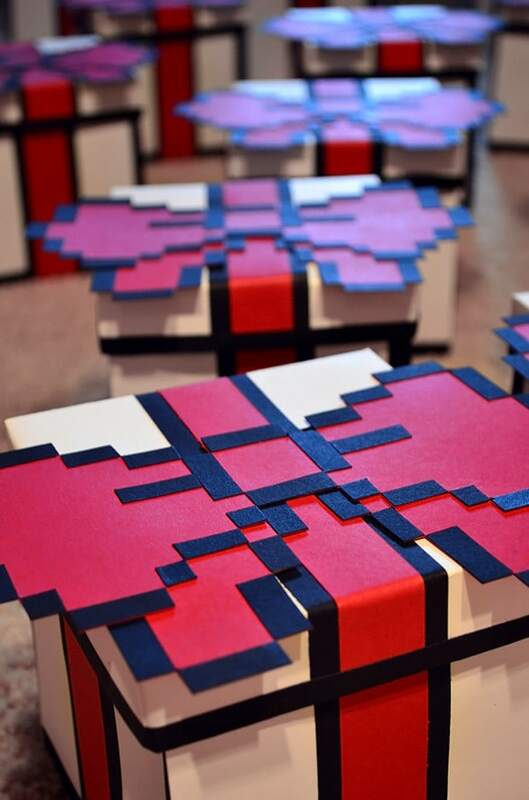 Each one was made by hand, “pixel” by “pixel.” It took a lot of time and energy, but it was very worth it in the end! I hope you enjoy it. 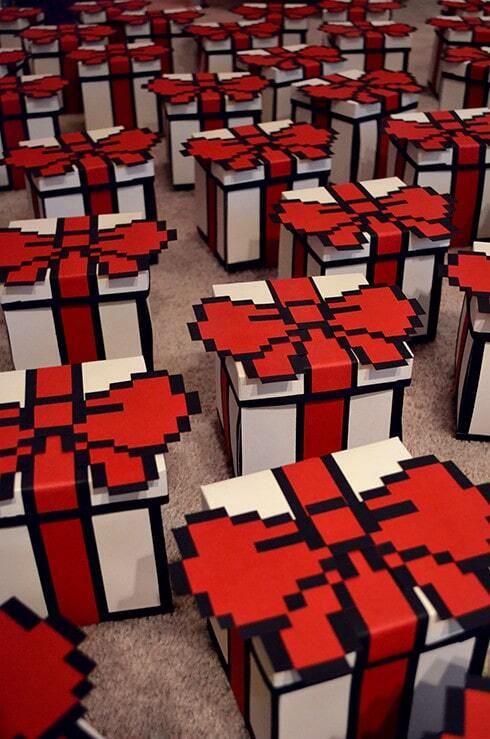 We made around 70 boxes in the end by hand, including placing each “pixel” on the bow. If you’re wondering how we shipped them, we didn’t, for the most part. 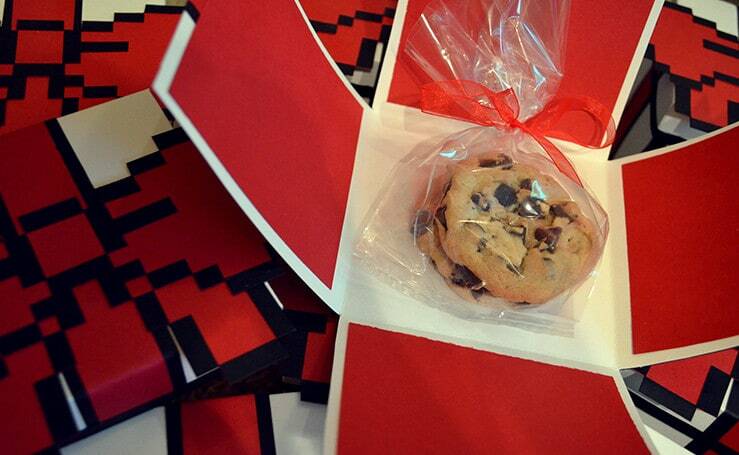 There is a Cookie inside! The original plan was to have the wedding information on the inside flaps, but in the end we kept the information on separate cards, so people could use the boxes however they wanted. Sorry, Tony, these aren’t for your birthday. Such a cool and creative idea! Thanks for sharing these pics! What if there was A WALKTHROUGH HANDY? Eventing I look at this. 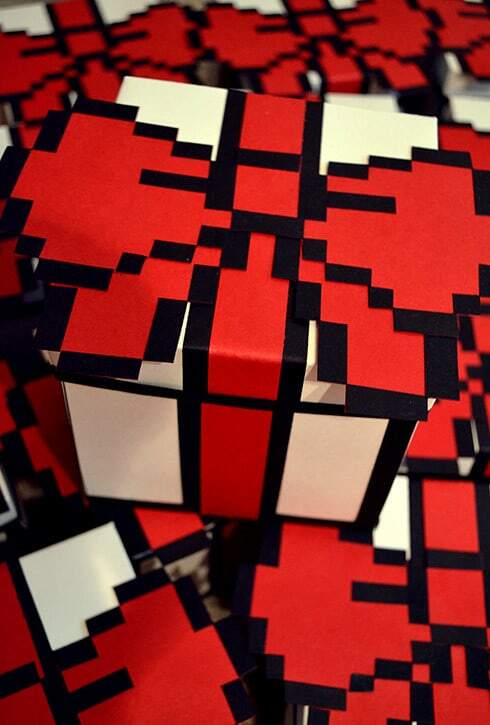 I really wish I had one of those boxes. I’m sure if they sold these people on this website or starmen.net would probably buy them. I hope Ness didn’t abandon the Cookie.